National Guard Day is an official holiday in Ukraine celebrated on March 26. It was instituted in 2015, replacing the Day of Interior Troops of Ukraine. The National Guard of Ukraine was originally formed in 1991, following the dissolution of the Soviet Union. In 2000, President Leonid Kuchma dissolved the National Guard. Some of its functions were assigned to the Interior Troops of Ukraine. The Interior Troops were formed on March 26, 1992. This day has been celebrated as an official professional holiday since 1996. After the Ukrainian political crisis of 2013-2014 (Euromaidan), the newly elected President Petro Poroshenko reformed the Interior Troops, reestablishing the National Guard on their basis. The new National Guard also included fighters from Euromaidan self-defense groups. 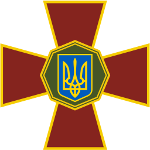 The National Guard of Ukraine is a reserved component of the country's Armed Forces that operates under the Ministry of Internal Affairs. Since its reestablishment, the National Guard has participated in the Crimean Crisis and the War in Donbass. In March 2015, Poroshenko officially abolished Day of Interior Troops and established National Guard Day instead. This annual holiday focuses on recognizing the role and importance of the National Guard of Ukraine in carrying out its tasks.